One of the best feelings after having a baby is that day you can fit back into the pants that have no stretch. That day has come! 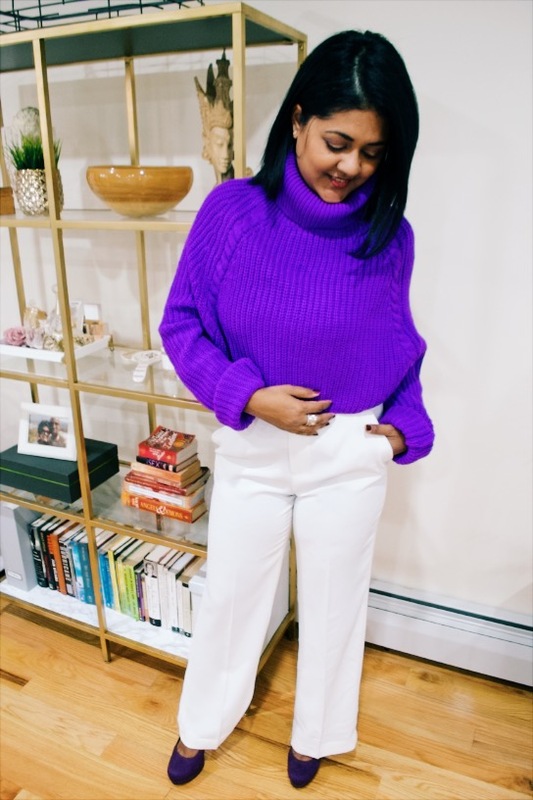 I have been looking at these white pants all year and waiting for the day that I would be able to zip them all the way up! I am feeling so elated and happy at the same time. I love these pants and didn't want to think I would never wear them again. I am actually not back to the weight I was before I got pregnant. Even though I still have a few pounds before I reach that number, I noticed that my weight is more evenly distributed and I don't feel out of shape. I started going back to the gym about four months after giving birth and I was so concerned with the number. 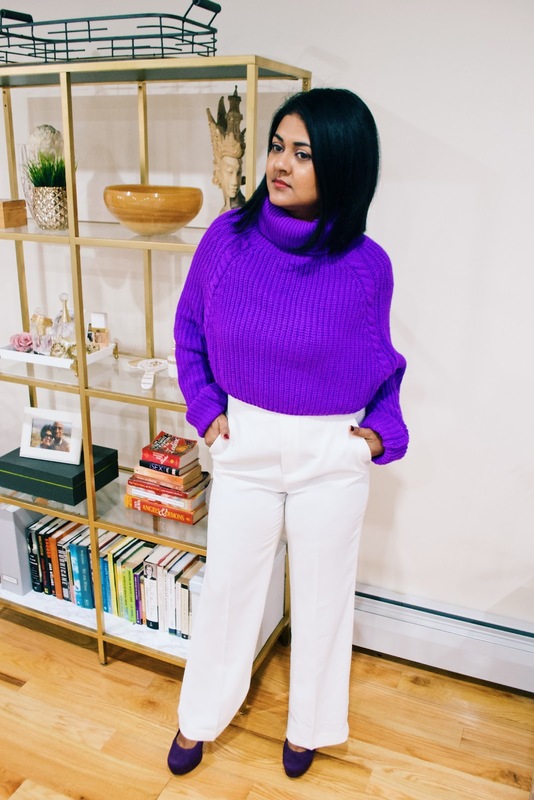 After a while, I began to notice a difference is how my clothes fit and that certain pants were fitting sooner than expected. I became more aware of how I felt and realized that I didn't need to concern myself with the number. Once I let that go, I became much happier with myself and my body. I still have stretch marks but they don't bother me at all. Knowing what my body is capable of when it comes to creating life, has made me so much more appreciative of it. I still work out but I always have and will continue to do that for my own health and fitness. If I do get back to my pre-pregnancy weight, great, but I am not putting any pressure on myself. For this exciting occasion, well exciting to me, I paired them with this bright purple sweater. 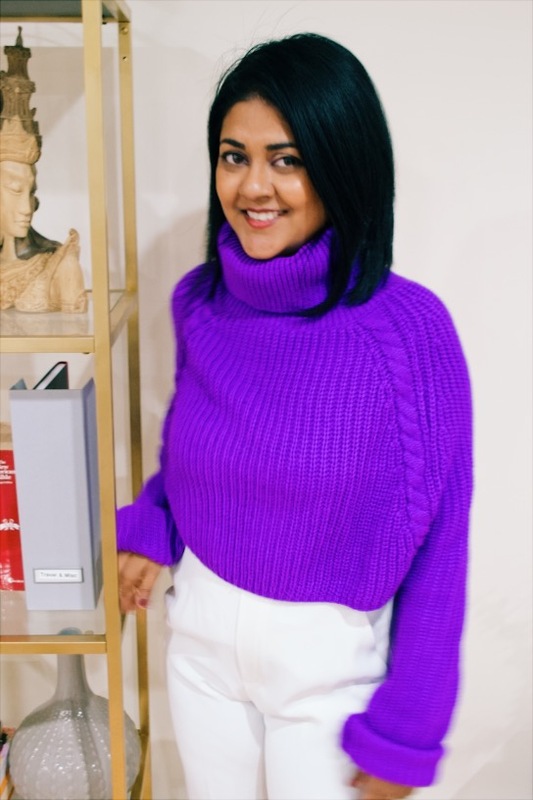 I purchased this sweater at one of my favorite local boutiques here in Astoria, Hanger Boutique. They are located on Steinway. Anytime I need that one great piece, I can always find it here for a reasonable price. 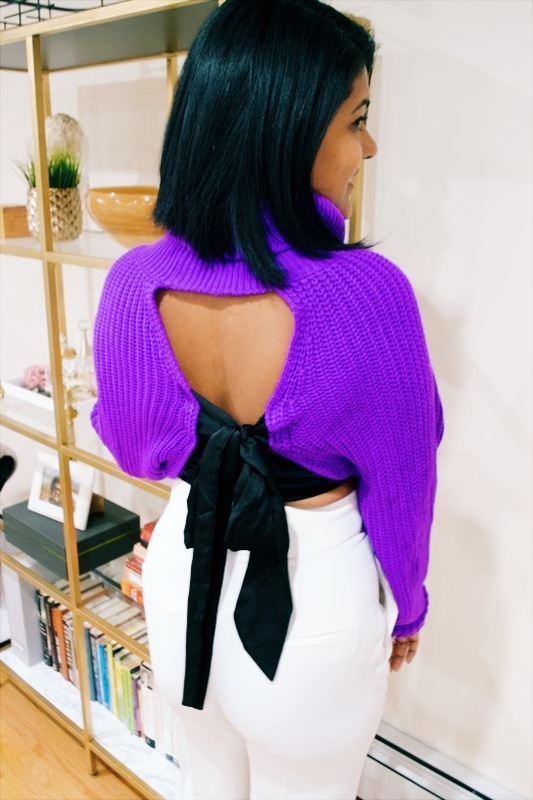 This back of this sweater is the showstopper. There It is backless and has two satin pieces that tie together. Talk about different! Its all serious in the front and party in the back. My favorite part is how it appears to be a simple turtleneck sweater and then you are surprised by this feature when you turn around. This is my new favorite sweater, too bad I can't wear it to work!